For many of us we do not understand the exact importance of taking care of our skin, taking extra steps to ensure we have glowy, healthy skin and prevent signs of aging as we mature. For me, this is something I spend a lot of time on as I have grew up struggling with acne and extremely oily skin. It is because of this that I have spent numerous hours researching the skin, acne and aging in hope to find ways in which I can prevent these issues becoming an increasing problem for me. I am by no means a skin expert or a dermatologist but I know enough about the skin to combat the issues I have. It has taken me a long time to find the right products to reduce the oil my skin produces and aid the improvement of my acne. These products are my holy grails in order of use in which I have seen significant improvement in the appearance of my skin from using them. I have learnt that although many people think foaming cleansers are the best to use due to their drying properties, these are in fact not the best type of cleansers to combat oily skin. When your skin produces too much oil it is often a result of your skin being dehydrated. Skin over produces oil to compensate for the lack of moisture. 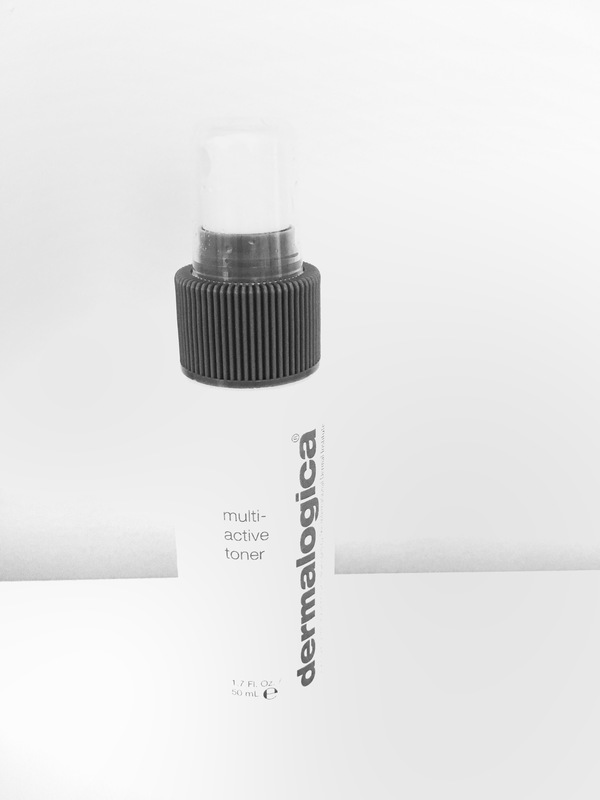 Foaming cleansers actually dry your skin out increasing the sebaceous oil activity. Gel cleansers or milk cleansers are gentle and moisturising, helping to balance out your skin putting moisture back into it. 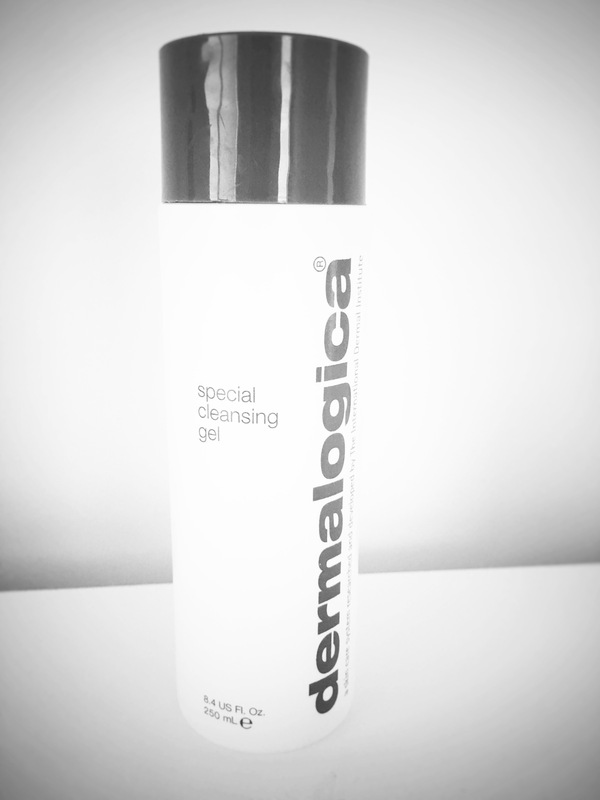 I love the dermalogica gel cleanser as it does exactly that! It is so gentle and light on my skin it feels like a dream! I have been using this for over a year now and it is by far the best cleanser I have ever tried! I use this morning and night making sure that I double cleanse. First to remove the excess oil and dirt, secondly giving my skin a deep cleanse. I only use this every second day, morning and night as I do not want to over exfoliate my skin, however I am absolutely inlove with this device. Since using it my skin feels so smoothe, it feels cleaner and my acne has reduced significantly! I have recommended this product to so many people and the ones that have gone out and purchased it have not been disappointed. This brush cleans deep into your pores getting rid of any dirt built up in your skin, leaving it soft and glowing after each use. I highly recommend! 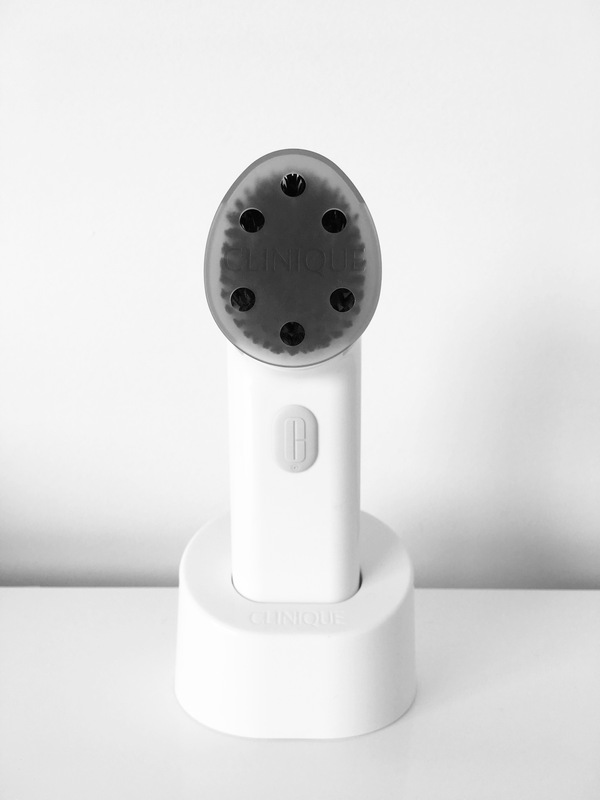 I simply wet the brush, put a small coin size of my cleanser on the brush head, press the button to activate the vibration and use circular motions to cleanse my skin. Now, particularly for oily skin it is important to balance out the PH to help reduce the amount of oil produced bringing balance to the skin. Toners are not my favourite skin care product but this one really does do exactly what I am looking for in a toner. It does not have a unpleasant smell to it, it is nice and light and feels cooling on my skin. Using this toner is definitely a favourite part of my skin care routine souly for the fact my skin feels refreshed and cool once I have applied it. I simply sprits is all over my face and allow to dry. I was lucky enough to be given so many products from the Beebio range from the company not so long ago and boy oh boy am I obsessed with their products! They are not the cheapest but they are so worth the money in my opinion. I have been alternating between these two products for a while now and I have noticed a difference in the appearance of my under eyes for sure! I tend to use the serum in the morning and the eye cream at night as I do not like applying heavy creams to my skin during the day. Up until recently I had not had an under eye product incorporated into my skin care routine and had started to notice my eyes were looking tired and my under eye area had become very dry. 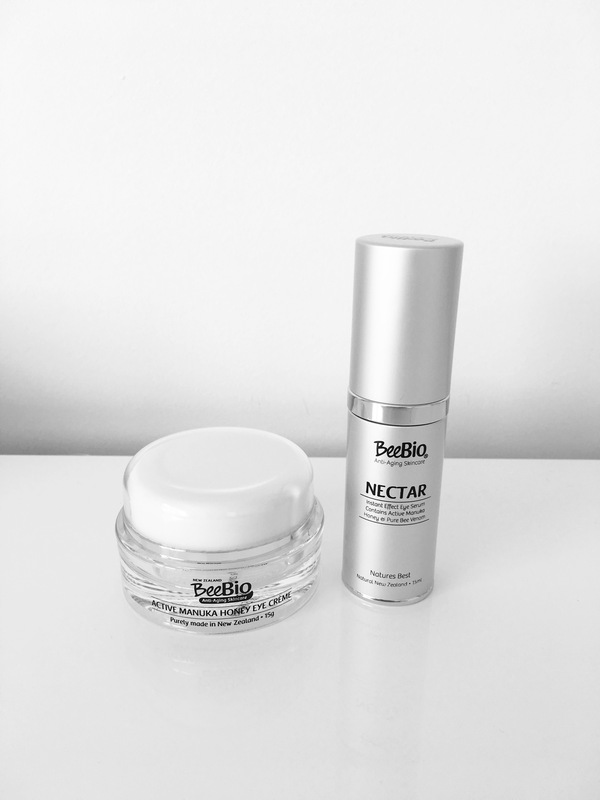 When I was given the products from the Beebio range and saw that these two products were included, I thought what better time to start using an eye cream than now. Since using the serum and eye cream my under eye area looks brighter, is no longer dry and feels more plump, like the life has been put back into it. These two products will definitely have a permenantposition in my skin care routine and for sure make a huge difference in the appearance of my skin! I apply a small amount underneath my eyes and gently press it into my skin being causious not to rub as rubbing creates wrinkles in the long run! I am afraid to say that up until a few years ago I did not apply a moisturiser to my skin at all! I was one of those oily skin girls that believed if my skin was too oily then I did not need to apply a moisturiser as it would only create more oil. I was definitely WRONG! Not moisturising was probably the worst thing I could of done and it only made my skin worse. Like I said previously most of the time your skin produces a large amount of oil to compensate for the lack of moisture. If you moisturise your skin day and night then your skin will become hydrated and balanced having no need for your sebaceous glands to produce so much oil. Since using a moisturiser my skin has become less oily and it feels so hydrated and plump. 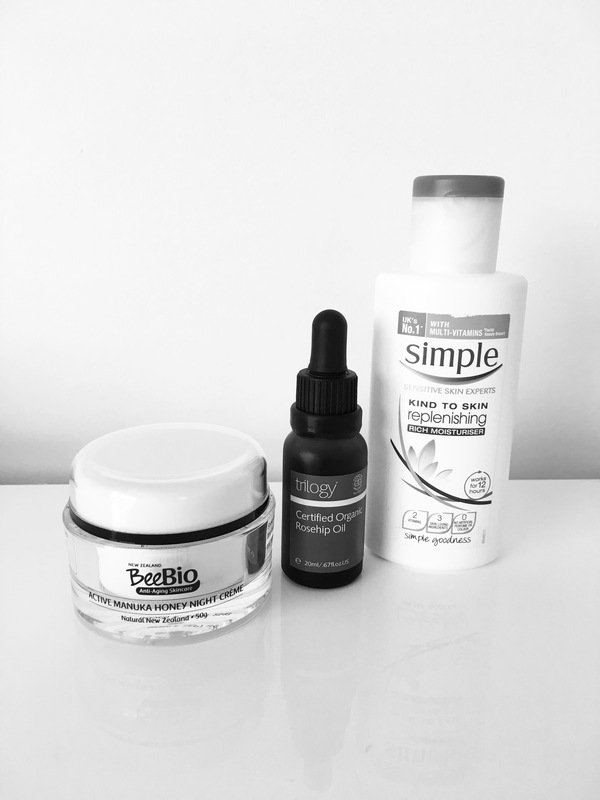 I use three moisturising products simply because this is what works for me. I use this every night as the last step of my skin care routine. This face cream is very rich and thick meaning I only need to use a small amount. Since using it my skin is brighter, less oily, firmer and hydrated when I wake up. It is for sure one of my favourite skin care products and has really helped improve my oily skin! I have used this oil for years and swear by it! It not only gives my skin an intense boost of hydration is also helps with pigmentation and scaring I may have from acne. I only use this every third night and put two drops into the palm of my hand. I rub it into my hand gently to heat it up with the warmth of my hands, then press it into my skin and down my neck. Since using this my scaring has faded a lot quicker and I wake up with my skin not appearing oily at all! I highly recommend this product for all my oily girls and boy for sure. A small amount really goes a long way with this one. This is hands down the best moisturiser for us oily skin people. When looking for a day time moisturiser, I want something that isn’t too thick and sinks into the skin almost immediately but gives me the right about of moisture my skin needs. This product does exactly that! I have used this for so many years and don’t think I will EVER stray away from it. It is everything I want in a day time moisturiser and is very inexpensive too! You can’t get better than that. Lastly, Sunscreen is so important especially living in New Zealand as the sun is so powerful. I used to be a sucker for not wearing sunscreen and wondered why I had lots of freckles appearing, which is not a good thing. Freckles can become cancerous which is not something that I want to experience. For many years I have used this sunscreen as it is the only one I can find that has a high SPF, does not make my face feel greasy and does not have an unpleasant smell to it. I have had so much trouble in the past with sunscreen being too greasy on my face causing me to break out a few hours after applying it. This sunscreen does not cause this to happen and I by far love the feel of it on my skin. 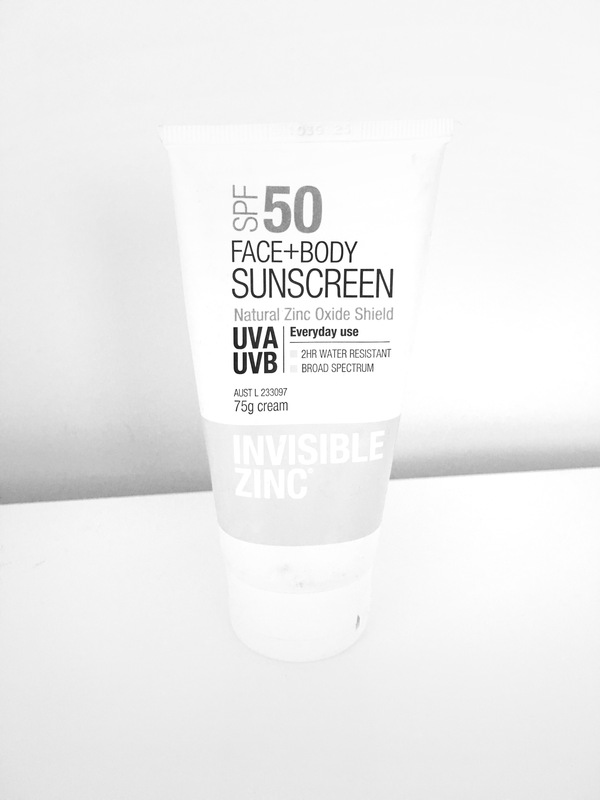 It protects me against UVA and UVB which is something I look for in a sunscreen as protecting your skin against both is equally important. I only use this sunscreen on my face as it is not the cheapest however it is the only sunscreen that works for my skin. I apply this every morning after moisturising my face and I know I am protected from the harsh rays of the sun. So this is my skin care routine honeys, I hope you enjoyed. Not all of these products may work for everyone who has oily skin because everyone is different, however this is what I have found really works for me. What are your holy grail skin care products? Until next time my lovelys.